You are currently browsing the Archaeofacts.com archives of Musings for the day Monday, October 1st, 2018. 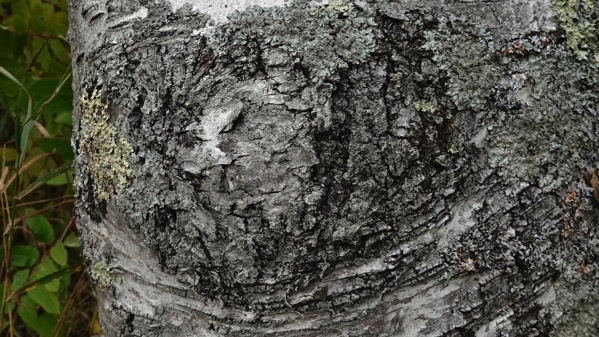 Doesn’t this old branch scar look like a strange wrinkly kneecap? A white birch kneecap. Next to the steps down to the beach. 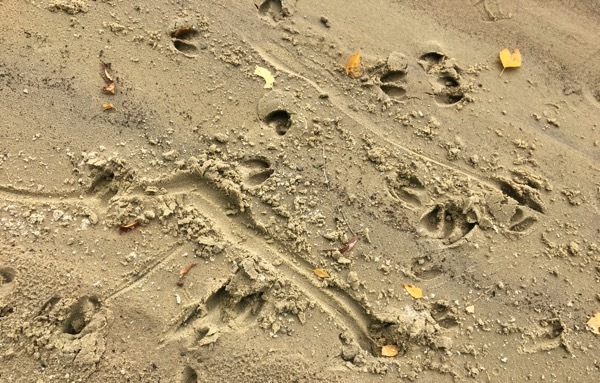 I saw evidence of a deer-dance in the footprints in the sand. Those long drag marks ended in deer prints. I’m unsure of the moves that produced them. I’ve noticed this plant on the beach my whole life and don’t know even a common name for it. 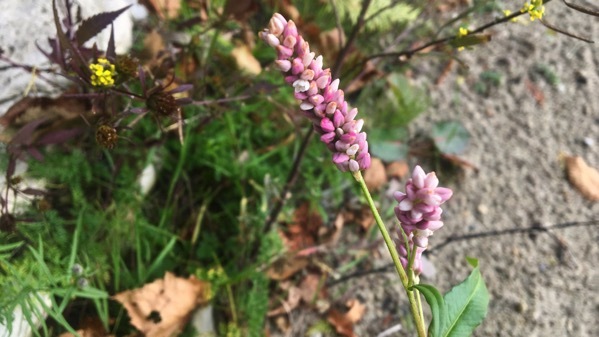 Just got out the wildflower ID book—it’s a Polygonium spp., most commonly called some kind of smartweed or knotweed. So there.